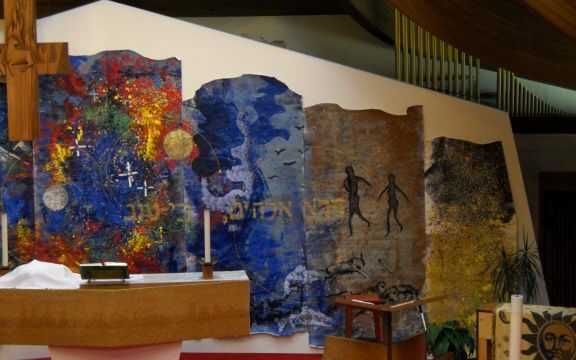 The Creation Art Images are just one in the series of original liturgical art presentations which have appeared on our back altar wall. 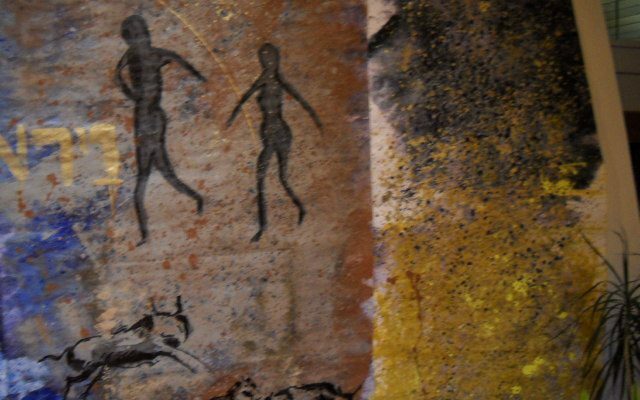 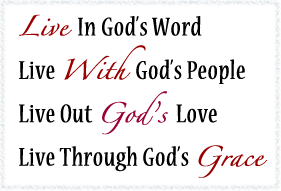 This particular presentation consisted of seven individual images (one for each day of creation). 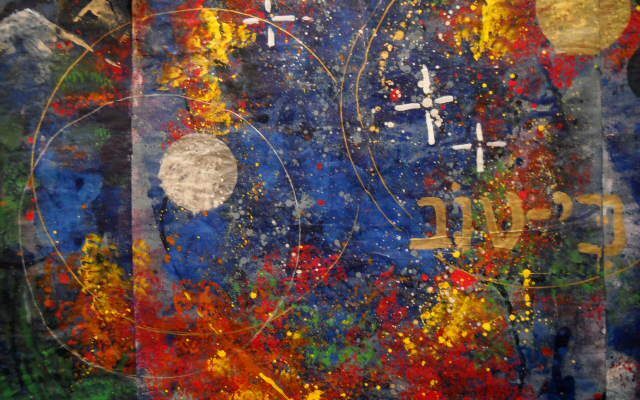 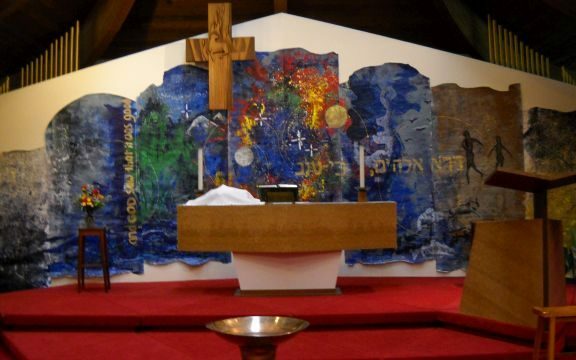 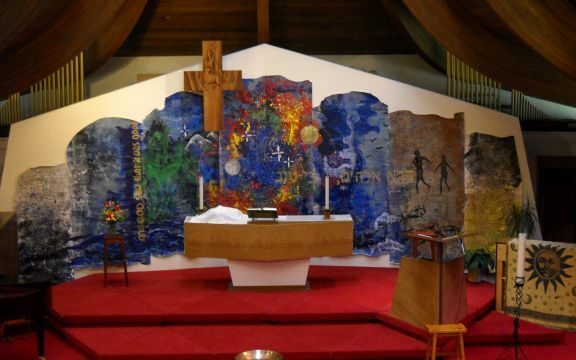 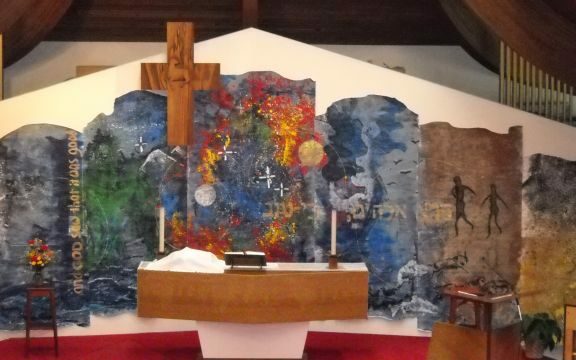 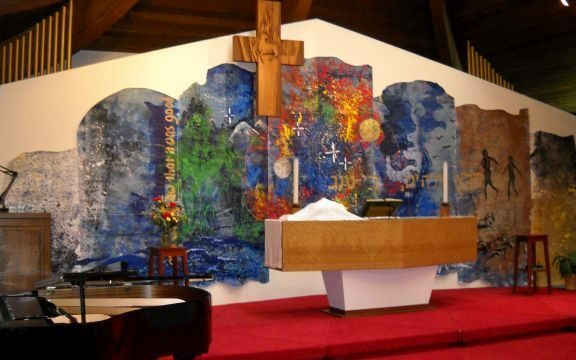 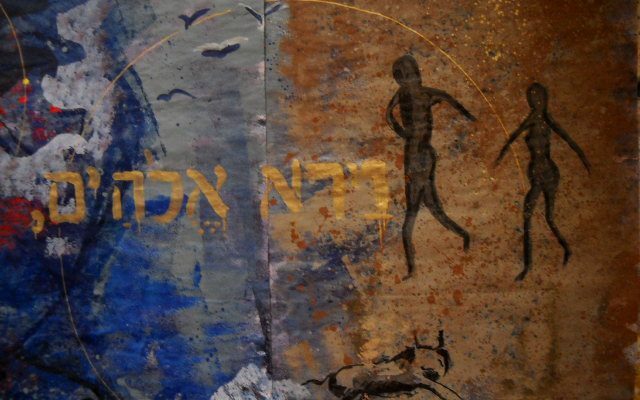 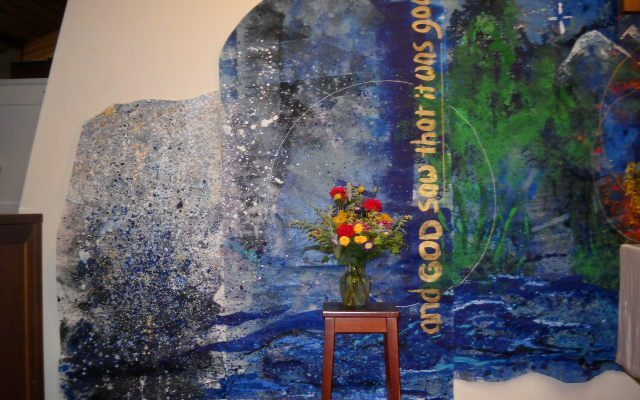 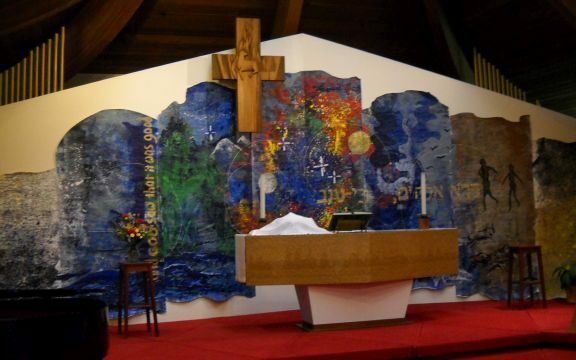 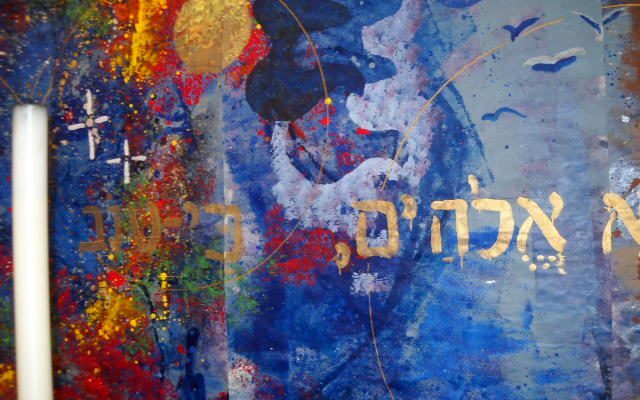 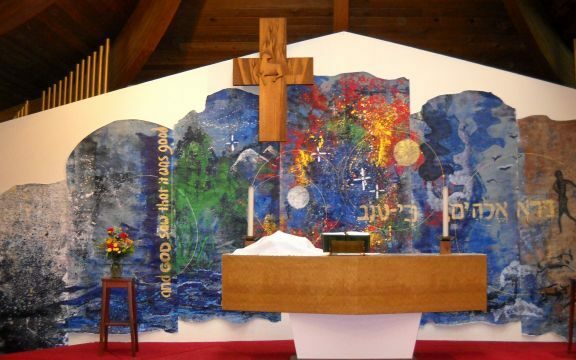 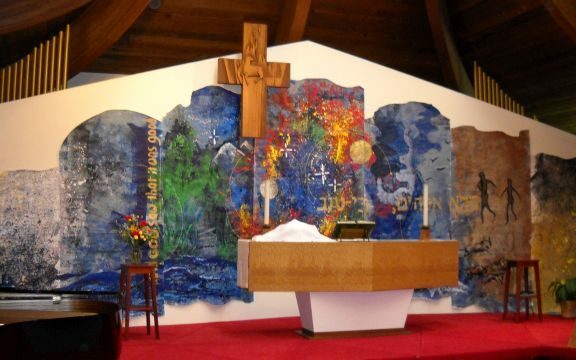 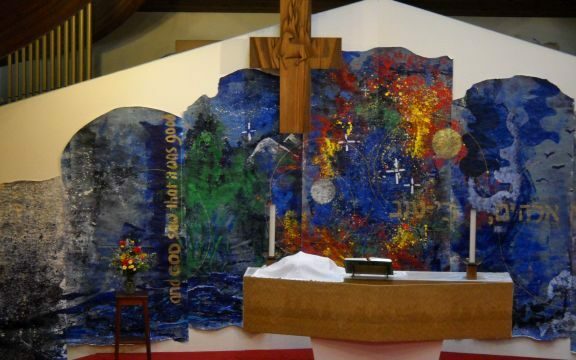 Check out the Liturgical Art page for more similar Artistry, all created by our Artist in Residence, David Nelson and other interested congregation members.